1 or 2 players operate a jeep and must battle their way through a huge, vertically scrolling battlefield. Their mission is to save PoWs and deliver them to the nearest helicopter pad so they can be flown to safety. The hostages are trapped in enemy buildings and PoW camps, which must be destroyed in order to release the prisoners. The jeep can only carry up to a maximum of eight PoWs, the current amount being carried is displayed in the upper left-hand corner of the screen. The jeep is armed with a machine gun and a grenade thrower, the latter of which can be powered-up into a missile launcher. 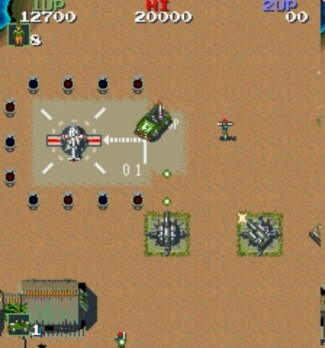 As well as huge numbers of enemy troops and static gun emplacements, the players must also contend with enemy jeeps, tanks, boats, submarines and planes. The final part of the game takes place in the enemy stronghold and the game ends when the final enemy gun emplacements are destroyed.